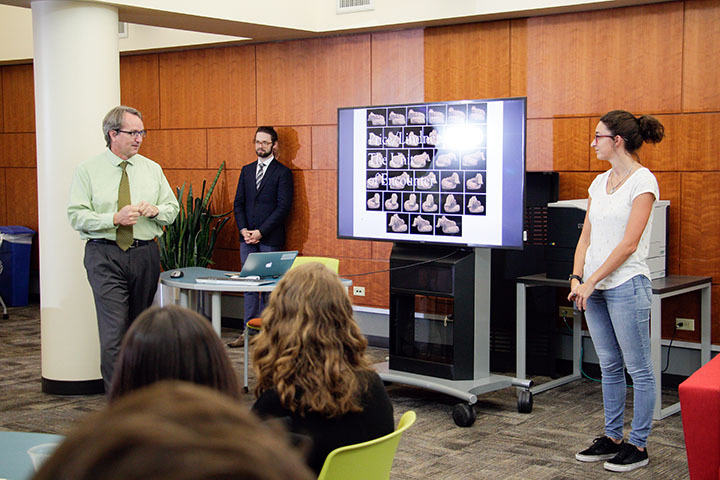 The University of Houston Libraries Digital Research Commons (DRC) held a reception to celebrate its first year of sponsored projects, with a look ahead at the new schedule of workshops and projects in digital research. The DRC is the best place on campus to learn more about using digital tools in teaching, learning, and research, receive hands-on instruction, and attend workshops and talks on digital research and digital humanities. The next workshop will be held Thursday, September 13 on R and R Studio.